The capsules of illy coffee arabica tell the story of an extraordinary passion that creates exceptional quality of arabica coffee: a culinary journey to the discover the illy blend, to be enjoyed for enchanted revelations. 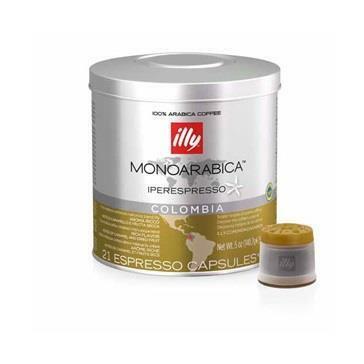 Behind every capsule illy Monoarabica is its region of origin with the particular characteristics of the soil, altitude, rain, the sun, the method of cultivation which influence significantly the aroma and body. Enjoy your coffee illy Monoarabica means learning about some of the particular nuances of the illy blend. The aroma is rich, the body medium-high heat brings out the perfect balance of sweet, bitter and sour. Amazing notes of caramel and dried fruit with delicate appearances of chocolate and toasted bread.